In the last post we looked at the converging economic forces that make creativity a hot property in the 21st century. Mature economies such as the US, Europe, and Japan, which previously shifted from manufacturing to knowledge work, are now relying more and more on creative work. So people like Lou are having to update their c.v.s while people like Jack and Marla are in such demand they no longer need a c.v. These changes have given rise to the idea of the creative economy. 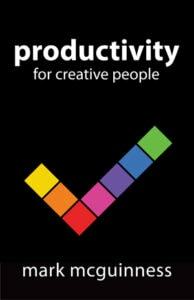 One of the books that inspired me to specialise in consulting in the creative sector was The Creative Economy by John Howkins, in which he identifies creativity as central to the emerging 21st century global economy. The creative economy consists of the transactions in … creative products. Each transaction may have two complementary values, the value of the intangible, intellectual property and the value of the physical carrier or platform (if any). In some industries, such as digital software, the intellectual property value is higher. In others, such as art, the unit cost of the physical object is higher. So the physical components of a DVD, laptop or Picasso are of trivial value compared to the intellectual property value of the film, design or art they embody. This means that the economic potential of the creative economy is enormous. Today’s economy is fundamentally a Creative Economy. I certainly agree with those who say that the advanced nations are shifting to information-based, knowledge-driven economies… Yet I see creativity… as the key driver. In my formulation, ‘knowledge’ and ‘information’ are the tools and materials of creativity. The key difference is that in the creative economy it is not enough to store, process or analyse information – it must be creatively transformed into something new and valuable. [The creative industries are] those industries which have their origin in individual creativity, skill and talent and which have a potential for wealth and job creation through the generation and exploitation of intellectual property. One problem with this definition is that it could apply to any industry, since it’s hard to think of an industry that does not rely on creativity, skill and talent; and copyright, trademarks and patents are becoming more prominent in a wide range of industries. According to creative industries expert Chris Bilton the creative industries cannot be divorced from the ‘old economy’ which often provides ‘the labour and the material components’ for ‘the glamorous world of creativity and culture’ (Management and Creativity). So some writers stress the differences between the creative industries and other industries, while others emphasise their similarities and connections. A recent report by the Work Foundation shows the creative economy as a series of concentric circles, with creative content producers at the core, surrounded by industries in which creativity plays a less prominent role. There are other ways of defining the creative economy. Richard Florida describes it in terms of the people employed in creative occupations—what he calls the creative class. The economic need for creativity has registered itself in the rise of a new class, which I call the Creative Class. Some 38 million Americans, 30 percent of all employed people, belong to this new class. I define the core of the Creative Class to include people in science and engineering, architecture and design, education, arts, music and entertainment, whose economic function is to create new ideas, new technology and/or new creative content. Around the core, the Creative Class also includes a broader group of creative professionals in business and finance, law, health care and related fields. Florida has been criticised for stretching the definition of ‘creative’ occupations too widely, but for me the key point is that we should not think of creative people purely in terms of artists and entertainers. Creativity must be systemic throughout 21st century organisations. Not everyone will be comfortable with the idea of a creative ‘class’. For one thing, creative people like Jack love to see themselves as unique individuals rather than members of a crowd. And Florida confronts the issue of elitism head on, describing a widening income gap between those employed in creative professions and the service workers who support them. But the economic reality he describes is that if you are a creative worker in the 21st century, whether in the arts, science, or business, then your talent makes you highly desirable – and opens up the possibility of spectacular creative and commercial success. When I asked Lou what he thought of the creative economy he said ‘Show me the numbers’. So I showed him these numbers and he went very quiet. Brave New World or Castles in the Air? Some enthusiasts have heralded the creative economy as a Brave New World of opportunity, a weightless wonderland of the imagination, where wealth can be conjured out of thin air. Yet in spite of the marvels of digital technology, many creative industries still require real people in real factories to produce real products. Even at the conceptual stage, creative work involves more perspiration than inspiration. According to Richard Florida, the creative class works very long hours. Just ask Jack and Marla – they may not spend all day chained to their desk like Lou, but even when they are relaxing on holiday they have a notebook with them to jot down ideas and work on them in odd moments. Another limitation of the creative economy comes from the highly subjective value of creative products. Remember the last argument you had with a friend about music or films. How come they couldn’t appreciate the genius of one of your favourite masterpieces? And how come they spend so long watching or listening to rubbish? These differences of opinion make creative products highly volatile. Just ask anyone who has invested a fortune in a high profile movie that flopped. The dot com crash is (so far) the most spectacular demonstration of this volatility, often cited by those who criticise the new economy as pie in the sky. In reality the creative economy is neither a panacea nor a mass delusion but somewhere in between. The opportunities are balanced by dangers. Chris Bilton concludes that the creative economy is important ‘not because it represents a bright new future, but because it represents a future of uncertainty and risk’. So how can we navigate this uncertain future? That’s what we’ll look at in the next post. Interesting point about the volatility of creative products. I never thought of that before. I think a good way to lessen the volatility is to build a repeat customer base that are fans of your work. Also, building relationships with social media influencers like popular bloggers can help. Whenever you create a new product, you can ask them to blog about it. Their recommendation posts usually lead to a lot of sales. Re the bloggers – they won’t necessarily say good things about your product, but any criticisms (in their posts and comments from their readers) will give you valuable feedback you could use to improve the product. What a reassuring post! I get everything from confused stares to “when’s this guy gonna grow up?” sighs when I tell people I’m a writer. It seems like no matter how many people enjoy my writing or how much money I make from it, I’m thought of as “that guy without a real job.” I don’t take much of it to heart, but it can be irritating. Posts like these are excellent vindication for members of the creative class. Just to clarify – ALL valuations of products, services or whatever are subjective. It makes no difference how much it cost to make it, what it can do, what it looks like etc. All that matters is how a person values the product/service/whatever. How I see/perceive the subject at hand. ps: Oh, and the dotcom bust was a result of (bad) monetary policy. Just like the existing credit crunch. Hey, but I absolutely love your three characters. And I have an idea that you could use – create (inspirational, motivational) wallpapers with your three characters and their quotes. Thanks for the idea, I’ll see what Tony thinks of it. We’ve also been asked about shirts and stuff. It’s definitely something we’ll do if there is enough interest.